So my LQS is hosting a CEO Club (Completely Executed Objects) to get those UFO's done! Well as I had a few UFO's of my own, this was the perfect motivation to finish up some of these projects. 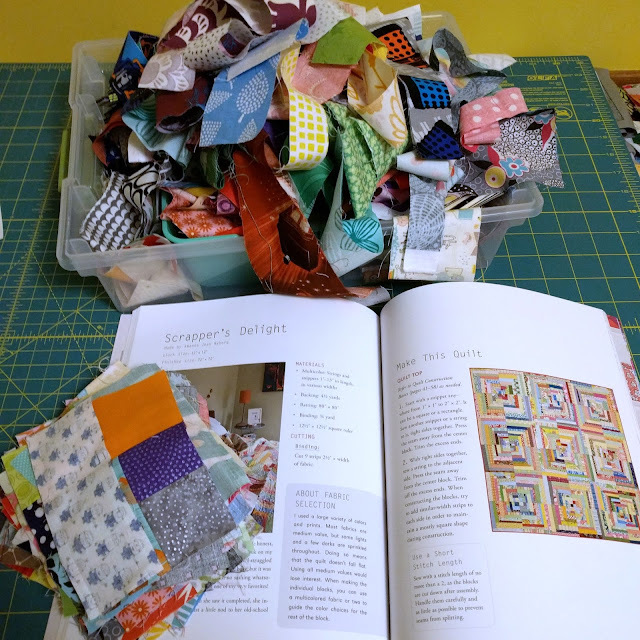 After picking six projects and taking before pictures I set to work on February's project, Scrapper's Delight from Sunday Morning Quilts. At the beginning of the month, all I had were a pile of unfinished blocks and overflowing scrap bins (all not shown in picture). I found this quilt to be so therapeutic to piece together. I just started piecing my strips in quarter log cabins just as described in the book. After a few rounds I squared up my blocks until they were finally large enough. During this process I found scraps from when I first got back into sewing/quilting way back in 2011. It was nice to see these scraps being used. Plus I made a huge dent in my strip scraps. (Now I just have to finish cutting the strips too small into squares). This is my first large quilt to free motion quilt on my domestic sewing machine. I've been practicing on small wall hangings and baby quilts, but decided it was time to give this a try on a much larger scale. 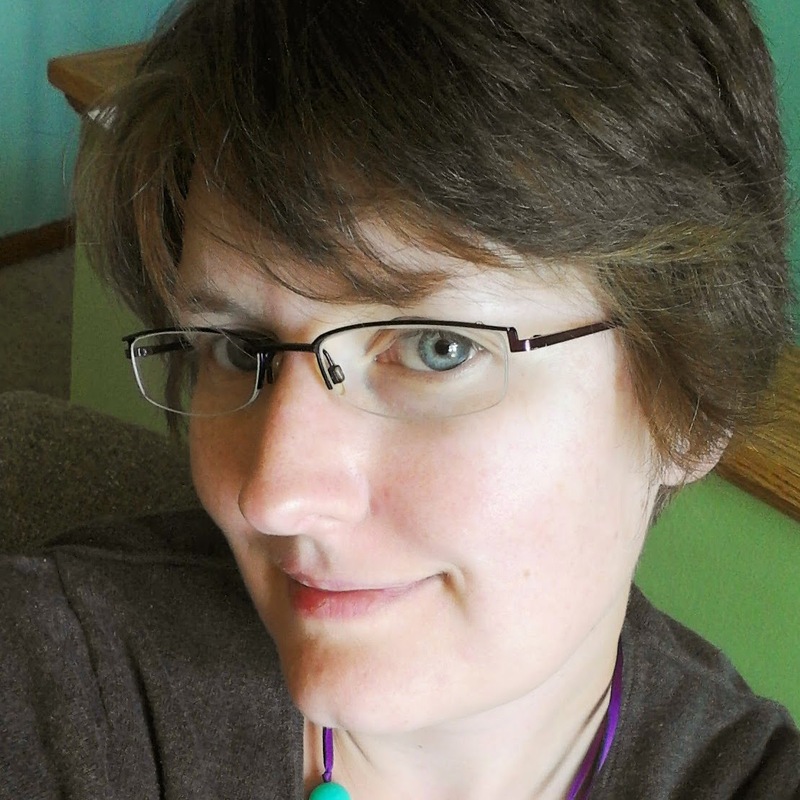 After reading many different blog posts from Leah Day, Elizabeth Hartman, Angela Walters, and Christa Watson, I went for it. I divided my quilt into four quadrants and then quilted each quadrant, using a wandering loops with a few other motifs just to try them out. 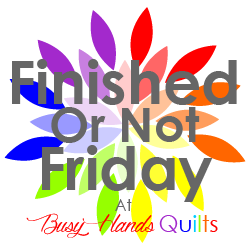 This was great practice and I'm defiantly finding what I enjoy quilting. 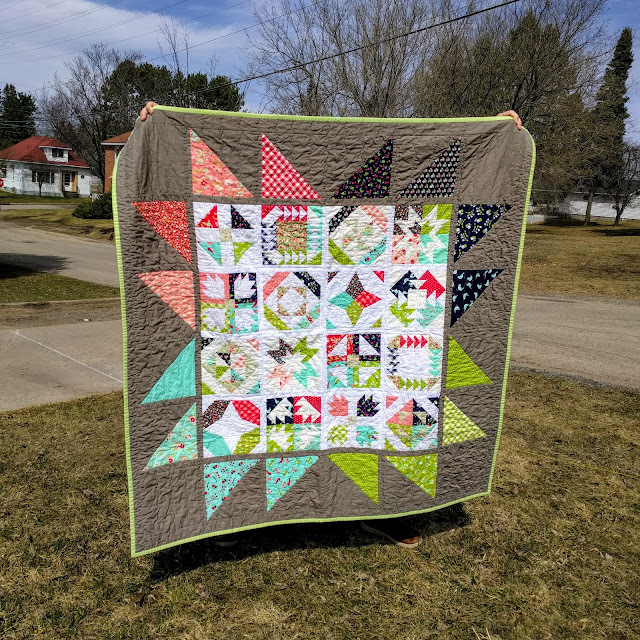 And taking the advice of other quilters, I'm not worried about any mistakes, they just add character and will be a piece I can look back on and see how far I've come with my quilting. At 72 inches square this quilt presented many challenges besides quilting. For instance, just finding a place big enough for me to baste this bad boy was a challenge. Plus trying to baste when you have your 1 year old walking/crawling all over the quilt and stealing your safety pins. But with the help of my wonderful hubby, who kept the kiddos out of my future sewing studio, I managed to get it basted. To start with a pile of unfinished blocks and a pile of scraps to a fully usable quilt in a month, for me is pretty good. Sometimes I just need that little extra push to get a project done. This was just a fun quilt to make. sewing strips, cutting, and sewing some more. 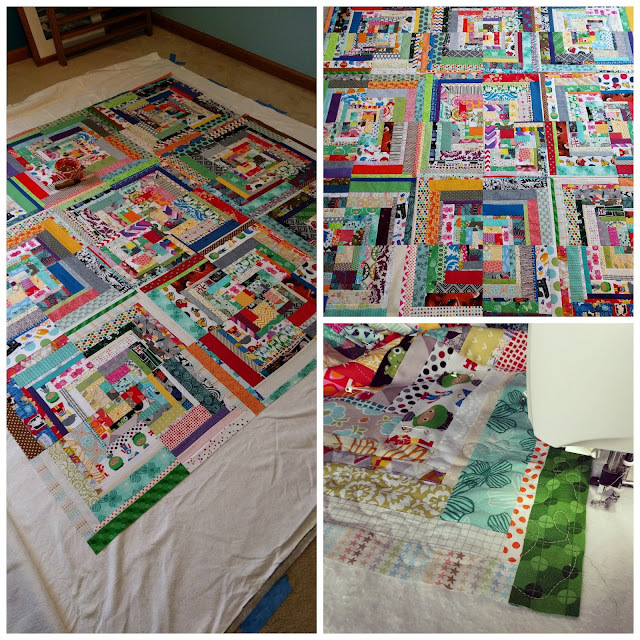 I can't wait to make another scrap quilt from Sunday Morning Quilts. 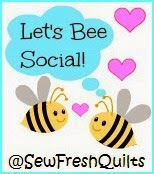 Linking up with Let's Bee Social and Finish It Up Friday. What a wonderful finish! Kudos on turning it around in such a short (for me, too) time! I really love scrap quilts. And yours is fantastic! Congratulations on the finish. Thanks, scrap quilts are some of the best. I adore this scrappy look and you are so gutsy to quilt it up. 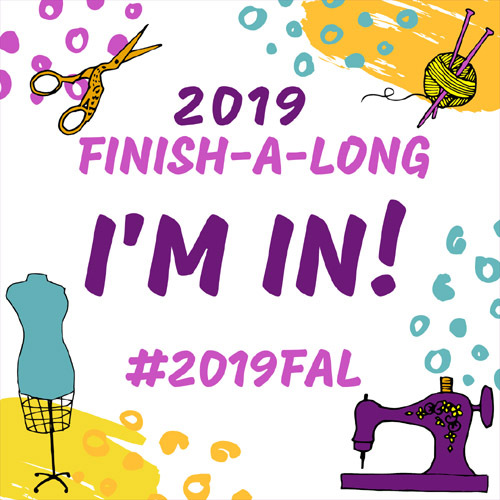 I just finished mine which was that big or a little bigger and it was killer to try to do on my machine so I had a friend let me try her longarm for a little bit of it. I went back home and did the rest on my domestic so it was not so so hard. Love this and would like to make a scrap quilt for myself. I was surprised at myself for giving it a go. I would love to try a long arm someday, but for now I'll keep practicing. Thanks for stopping by. 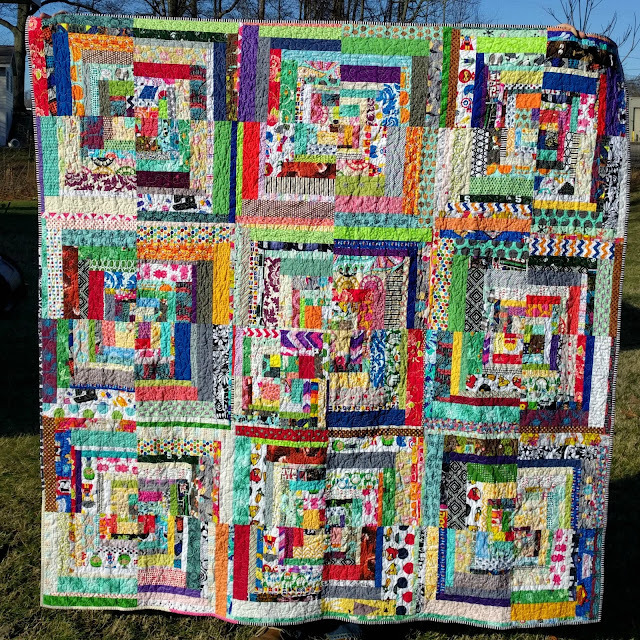 I am so into making scrap quilts at the moment! Yours looks fabulous! Beautiful! It is a fun and happy quilt. I am in the process of making a scrap quilt. It may have just taken a turn in the design phase. I'll have to think some more.